My first introduction to George Orwell’s literature was ‘Animal Farm’. A small book I stumbled upon while going through the English literature section in the university library, which has animals as its protagonists and upon the first look feels like a children’s tale. A few pages into the book, I came to realize that this is no children’s book at all. In the book, Orwell sets his fantasy world where a group of barnyard animals in England can talk. They revolt and overthrow their human master. The animals unite behind an anthem and form their ideology and name it: “Animalism”. The development of George Orwell as a writer began at wartimes. Politics dominated everything, that’s why he stated that what he wanted to do, was to make political writing into an art. In ‘Animal Farm‘, he was depicting what was happening in Stalin’s Russia at the time. However, the strong political tone of the book drove publishers away. Four English publishers rejected the controversial book before it was finally published by Secker and Warburg in 1945 under the title “Animal Farm: a Fairy Story”. Since then, the book became a huge success; notwithstanding, it was banned in many parts of the world. Born Eric Arthur Blair, Orwell was an eccentric, intellectual boy. He had a lonely childhood which he attributed to developing disagreeable manners and withdrawal from his peers. As he mentions in his autobiography “Such, such were the joys”, he had what he described as “a facility with words and a power of facing unpleasant facts”. He considered it his own world where he can overcome his feeling of isolation and “failure in everyday life”. Orwell knew from early on that he wanted to be a writer. as a child he began writing short poems and during his time at Eton school started publishing his writings in college periodicals. Instead of going to university, he went to Burma to join the Imperial police. George Orwell formed his political views during his long service in Burma and Catalonia. In Burma, he served with the Imperial police where he established his anti-authoritarian ideology. After five years he resigned from Imperial police driven by the feeling of guilt and shame. 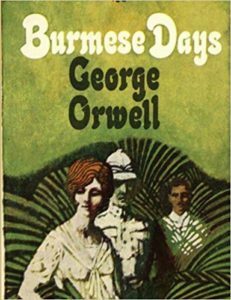 Orwell felt that Burmese people were ruled against their will by the British. He went on to live with the poor in London and Paris. During that time he was shaping his writing skills and political orientation. He published his first book ‘Down and Out in Paris and London‘ in 1933. Shortly afterwards in 1934, he published his first novel Burmese Days’, drafted during his time in Paris. In Spain, he offered his services to the worker’s party of Marxist Unification (POUM), a Spanish communist political party that was formed against Francisco Franco’s fascist rule in Spain. He joined the militiamen fighting communists in Barcelona and Aragon. 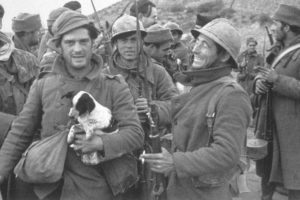 During the time he got a bullet in his throat by a Spanish Sniper, after which he left Spain in 1937 fearing for his life. In 1938 he published his book ‘Homage to Catalonia’ where he gives an account of his time in Spain during the Spanish civil war. A time where he detested communism, totalitarianism, and fascism. Which symbolized in his hatred of the Nazi and the Soviet regime. George Orwell is a brilliant storyteller in his own right. He builds the universe from the ground up and puts the reader in the middle of it early in the book. In Animal Farm, he introduced the animals’ anthem “Beasts of England” at the beginning of the story. The variety of the characters appear at their first encounter. He showed the hierarchy in the barnyard’s society with vibrant analogies (the pigs lead the animals, Boxer the horse is the most hardworking animal in the barnyard, sheep are the loyal followers of the pigs and the easily manipulated ones. Squealer is the manipulative mouth of the pigs to the animals). He does the same thing with 1984. Building the universe, he describes Oceania where the story takes place. a state composed of the Americas and the countries of the British Commonwealth, and it spreads its control on parts of Africa. It is formed during the nuclear warfare following the end of world war II. He begins the story with the famous party slogan “Big Brother is watching you”. Hinting on what will follow on in the story. Orwell’s writing reflected the politics of his time. he had both the political awareness and the artistic sense that had driven artists at that time of history. In his essay “Why I write”, he described his attempt in writing Animal farm: “Animal Farm was the first book in which I tried, with full consciousness of what I was doing, to fuse political purpose and artistic purpose into one whole.”. Today, The Orwell Prize is given to journalists who fulfill Orwell’s vision of making political writing into an art. Ingsoc, which is the ‘Newspeak’ term for English socialism, is the ruling party in Oceania. 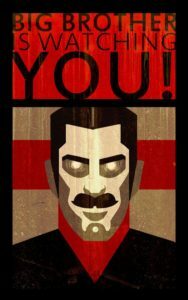 The main character in the story, Winston Smith, has a deep hatred towards the party and its doings. He questions what the party says to the citizens and party members (who call each other “comrade” along the story) and projects Orwell’s own hatred of authority when he, Winston, catches himself involuntarily writing “Down With Big Brother”. He instantly stops when discovers that he engaged in a thought crime. Orwell shows the reader the oppression that he feared would be practiced by governments in the future. Thought police members are everywhere, little children turn their parents to the police for committing thought crimes. The party’s philosophy is to encourage ‘doublethink’, letting the citizens accept two contradictory beliefs at the same time. While it is a point of debate whether to agree with Orwell’s view of the future (which is now our present), He certainly sets the imagination bar so high, that we find the term “Beyond George Orwell’s imagination” in media these days. The issue of privacy is looming today with different scenarios. China’s face recognition ambition intended to help police arrest criminals is dubbed in the media as “Big brother’s surveillance”. Amazon Echo which is in millions of houses now, would it be listening to conversations without permission? Would the government monitoring be more invasive into private lives as the time goes? Would freedom of speech and complete ownership of one’s own data still be there in the next 10 years? You name it, Orwell has probably talked about it in his books one way or another. Pobably that’s why 1984 suddenly became a best-seller once more in 2017, after the inauguration of Donald Trump. For the readers who are getting to know George Orwell, It is recommend to start with ‘Animal Farm’ and ‘1984’. After that, Getting back to where Orwell started writing and following him through his journey is a good idea. ‘Down and Out in Paris and London’, ‘Burmese Days’ and ‘Homage to Catalonia’ are books that tells the stories of places he has been to and people he has met. Two more good books are ‘Keep the Aspidistra Flying’, a novel, and his autobiography that was published after his death ‘Such, Such Were the Joys’. 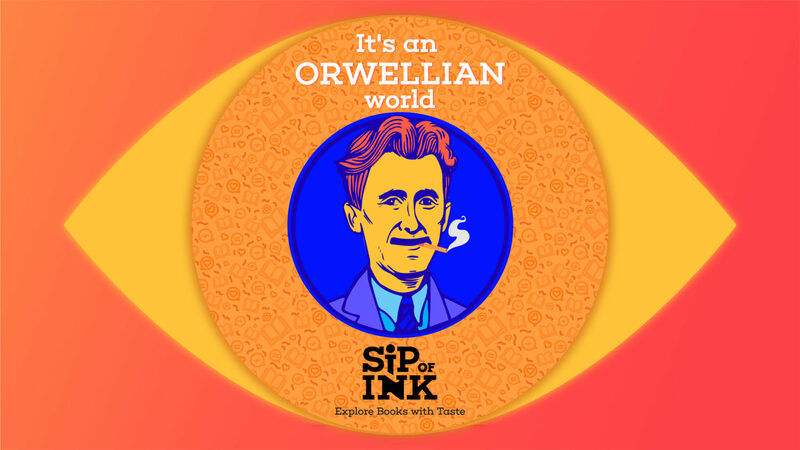 You can view those books on Sipof.ink Chatbot from this link. Also consider checking Sipof.ink for more book recommendations. This article contains information about George Orwell’s life in his own words, as he mentioned it in his Essay “Why I write”.